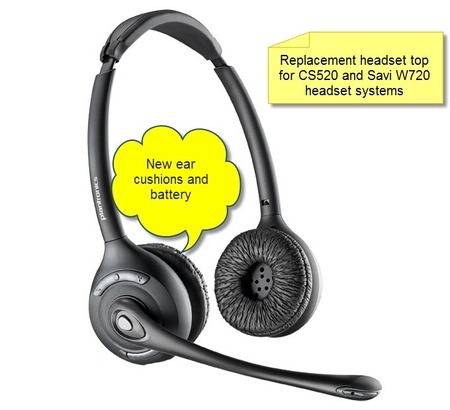 This is a dedicated headset top that fits Plantronics Savi W720 wireless headset system. This spare includes the headset top with battery, charging cradle and ear cushions fitted. If you break your headset, dont throw away the perfectly good base. Get a replacement headset top.